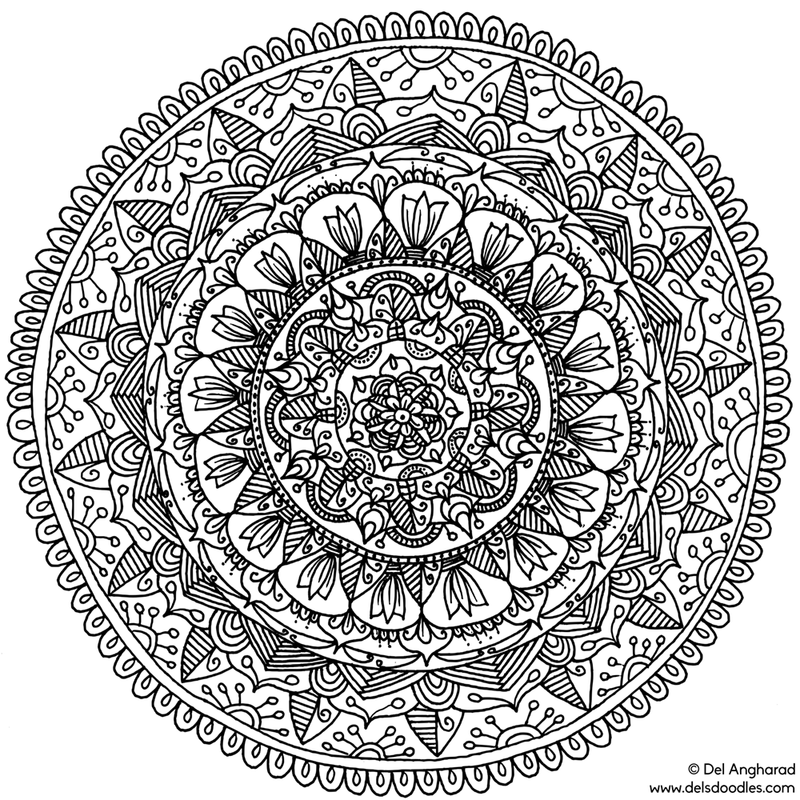 I usually use precisely measured radial lines and compass-drawn circle guidelines for my hand-drawn mandalas but I’ve been drawing a few entirely freehand with no guides lately. Here’s one. The circles are a bit wobbly, as you can tell.